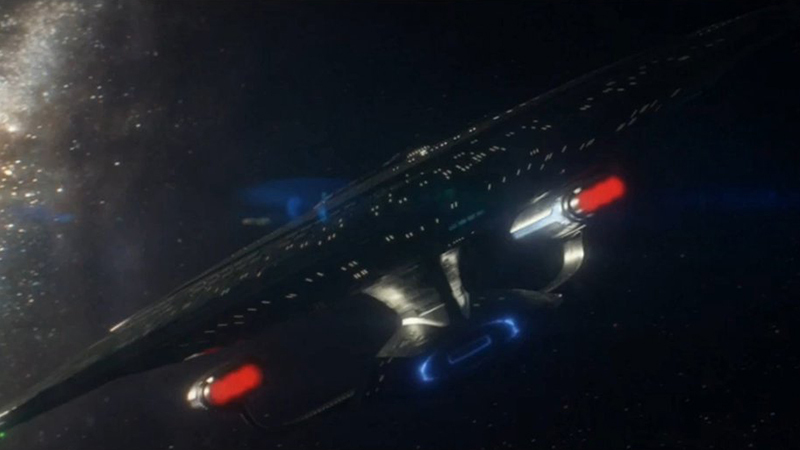 Notes: The Galaxy class is Starfleet's current flagship class. The Galaxy was designed to be a multi-purpose mission platform, intended to replace all older classes. 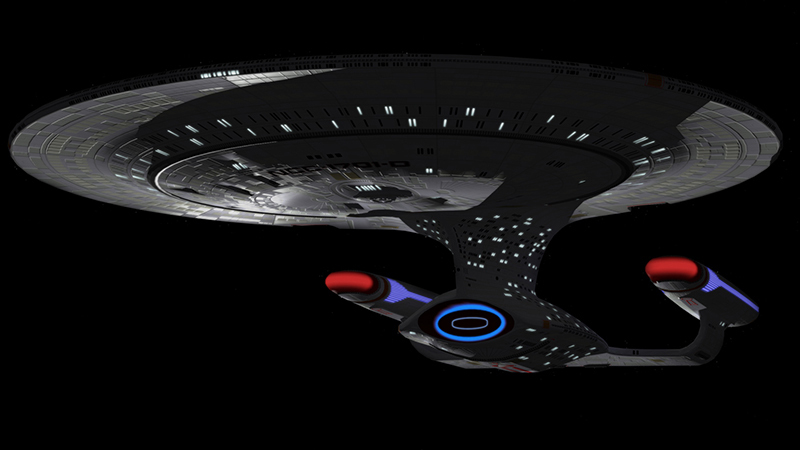 The Galaxy class possesses the most advance general purpose scientific and exploration recourses of any Federation starship class; this makes the Galaxy ideal for long term exploration missions independent of Starfleet resources. The Galaxy class was also equipped with state of the art weapon and defensive systems when it was launched in the mid 24th century, along with saucer separation capability, which allowed the star drive section to serve as a mobile weapons platform when relieved of the bulk of its mass. Before the advent of the Federation battleships due to the Borg and Dominion threats, the Galaxy class was the choice class for defending the Federation borders and showing the flag as a deterrent for any hostile moves from neighboring species. Finally, the Galaxy class was also designed for diplomatic, evacuation, and first contact missions, fulfilling its role as the most capable Federation ship. After many of the original Galaxy class ships were destroyed early in their lives under questionable circumstances, and the outbreak of the Dominion war, Starfleet upgraded the remaining ships with improved shielding, quantum torpedoes, extra phaser strips on the nacelles, and uprated maximum speed of warp 9.9. These modifications will allow the Galaxy class to remain in service, though their battle role is expected to be replaces by the Sovereign and Defiant classes.